This week, as I thought of what is Mumbaiah cuisine to me and asked friends to make their pick, I drilled down to this. What's most exciting about Mumbai's food is not the 'authentic' fare from other states. It's the native, borrowed, interpreted, re-interpreted, refurbished versions that collectively create the landscape of Mumbaiah cuisine. After much deliberation, I arrived at the conclusion, that to do justice to what Mumbai can serve you, you need at least 10 meals in this city. 10 meals that will take you through the lanes of Mumbai, into the heart of its people, culture and past. 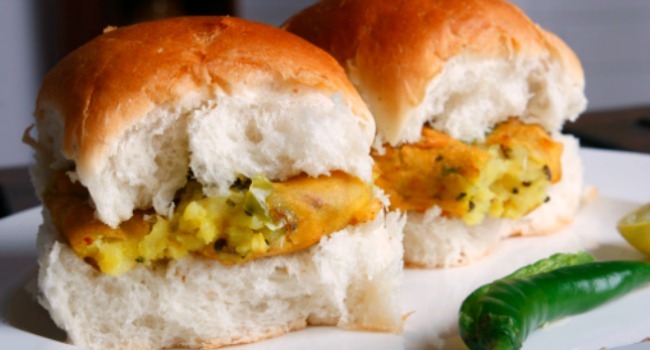 Here are 10 meals that will make you understand what food means to Mumbaikars. Street food in Mumbai has a distinctly different flavour from that of the street food in other parts of the country. What may have started as chaat from Uttar Pradesh (UP), eventually got modified to a whole new kind of food. The addition of onion and garlic and the abundant use of red chilli powder which was traditionally missing in the Lakhnawi version gives an earthy quality to most dishes. From Paav Bhaji, Vada Paav, potato and onion Bhajias, Bombay sandwiches, street-side Dosas, Patti Samosas, Pani Puri, Sev Puri, Dahi Puri, Ragda Pattis, boiled Channa Chaat, Kala Khatta, raw mango slices and berries in Chinese Bhel Indian-style pizzas heaped with cheese to fresh fruit accompanied by real dairy cream that is rare to find in most places. This is a gastronomes delight. As layers of flavours, textures, colours create dishes that pop in your mouth and hardly impact your pocket, it maybe fun to play a guessing game of what came from where and how it may have transformed here. Where: Versions of street food are available all around the city and everybody has their own favourite destinations. 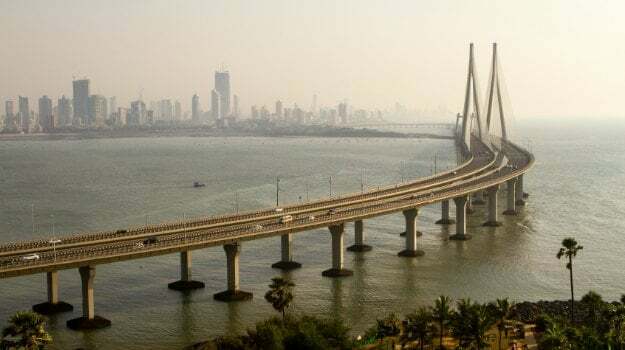 To start with, if you are in the suburbs you could head to Juhu and seek out - Chowpatty, Amar Juice Center, Sharma Chaat Center near 'On Toes', and hawkers outside Mithibhai college in the Suburbs. In South Mumbai, Girgaum Chowpatty snack shops, Bachelors for shakes, Indian style pizzas and sandwiches, and Homji Street Khao Galli (Fort) offer a spectrum of street food. Cannon (near CST) and Sardar (Tardeo) are famous for Pao Bhaji, Gurukrupa (Sion) for Samosa Ragda and Haj Ali Juice Centre for fresh juices, fruit cream, sandwiches and Indian style pizzas. The Konkan coast starts from Mumbai and goes on till Goa. Malvani cuisine is marked by the use of garam masala and red chilli. 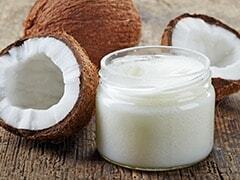 On the other hand, Gomantak cuisine is the coastal cuisine of areas in and around Goa and is marked by the generous use of fresh coconut and kokum. In most Mumbai restaurants, you'll find a mix of Malvani and Gomatak cuisines. The curries here are tangy, coconut-y, fiery with spice and red chilli and accompanied by rice as the primary starch. Eat the catch of the day in a coconut-y curry poured over a heap of steaming white rice or mop them up with the variety of breads unique to this coast. Bombil, prawn and Surmai fries, fresh and tangy fish curries and Sol Kadi as a before and after drink are a must. If you have any space in your tummy left, I would enviously recommend Mutton Masala and Tisriya (mussels) Suke, rice Bhakris and fried, deep-golden wade to mop it all up. If you are extra lucky, you will run into a Gaboli fry in season for fish roe. This is a meal that will grow on you and have you coming back each time you are in Mumbai. The highlight as you may have guessed, is definitely seafood. Where: Satkar (near Goregaon station) for Malvani, Highway Gomantak (on the Western Express Highway, Bandra East) and Goa House (Juhu), Singhudurg and Pradeep Gomatak (Fort). The native cuisine of Maharashtra is best tracked down in the lanes of Dadar. Most of the small, unassuming restaurants here offer a meal at lunch time that include the traditional, unassuming meals of Varan Bhat (dal rice) with vegetarian sides that usually include a Koshimbir (salad), Usal (sprouted pulse) and Pale Bhaji (green leafy vegetable). The star attractions that really pull crowds are snacks like Thaali Peeth (a sort of a multigrain pancake or flatbread), Kandha Pohe (flattened rice snack), Sabudana Vada (sago and potato fritter flecked with roasted peanuts), Misal Paav (a fiery curry made of pulses and fried nothings served with bun), Kothimbir Vadi (coriander leaf and gram flour fritters) etc. Aamras (fresh mango puree) when in season and Kharwas (a jelly like milky pudding made from the milk of a cow that has just given birth) round off the meal perfectly. Where: Aaswad (opposite Sena Bhavan in Dadar) and Prakash (Dadar) though Vinay Health Home (Charni Road) comes highly recommended as well. The saga of Udupi cuisine began in this city when Rama Nayak arrived from Karnataka, in the 1940s. In Matunga, the area where a lot of South Indians lived, he set up his establishment near the King Circle railway station, and started cooking and serving authentic Udupi food on plantain leaves. This was Mumbai's humble initiation into the idli-dosai menu. Soon Rama Nayak quadrupled his outlets into restaurants that are still known for great, uncompromising South Indian food in the city. Meanwhile, many other similar stories resulted in Udupi and Udupi-esque restaurants that cropped up all over the city, to be the primary dining room for the hungry working class of Mumbai. A surge of North Indians flooded the city with the chaat and sandwich culture at the heels of which followed tandoori roti lunches and Indo-Chinese of the Chicken Chilly Fry ilk. Most of the city's Udupi restaurants assimilated each of these layers that got added to the working class and today many of these restaurants serve a mind boggling mix of Maharashtrian, Punjabi, Chinese and South Indian food. Where: Most Udupi style restaurants have gotten Mumbaified in their offerings but there still are a few in Matunga like Ramanayaks Udupi (the thaali is what this place is most famous for), Udupi Idli House (absolutely fantastic range of idlis, chutneys and unlimited sambhar), Café Madras (recommend almost everything here but the Podi Upma and Ragi Dosa are favourites), Ramashray (great idlis and dosas) and Manis Lunch Home (known for the thaalis). 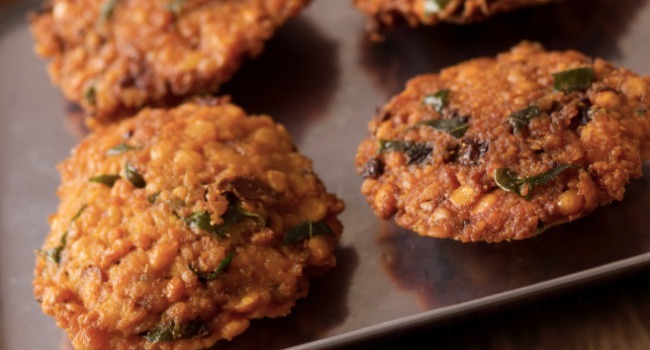 Venturing into most Udupi style restaurants of the city will guarantee a fix of South Indian 'fast food' fare ranging from the staple Masala Dosa to the mind boggling ilk of Chinese 'Schezuan Dosas', but you will also be spoilt for choice with the typical Bombay mix of street foods. What you have may not be authentic, but it will definitely be tasty, affordable and absolutely Mumbai. 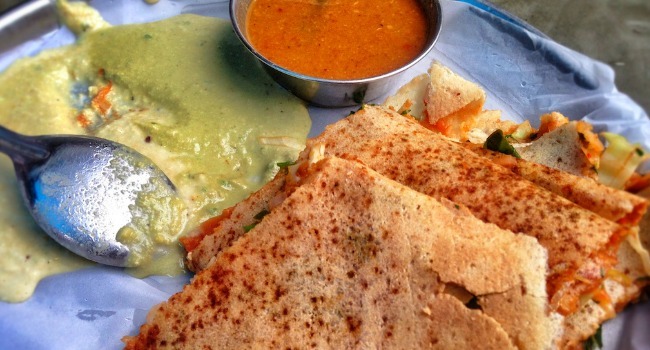 You must also know that today a lot of the streetside stalls make some really innovative dosas. For example, the Pizza Dosa at the stall opposite Narsimonjee college seems rather popular with the youth. If you're somewhere near the Bombay Stock Exchange (BSE) you must try the scrumptious dosas at Jay Snacks next to BSE in Fort. It is said that Bohris are a Muslim business community who came from Gujarat and made great inroads into trade and commerce. 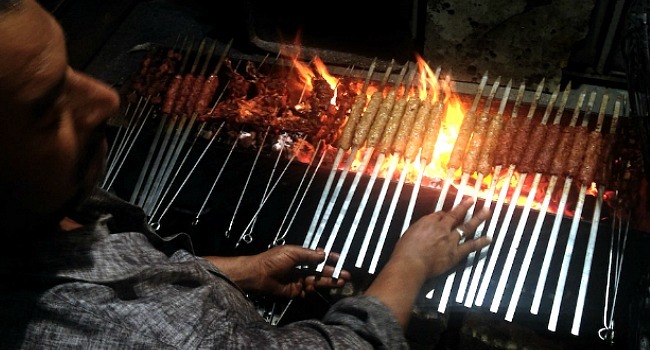 The Muslim eat street of Mumbai, offers a cuisine distinct from other Mughal/Muslim cuisines of the country. While Mohammed Ali Road is famous for the food it offers for Iftar during Ramzan, Bohri Mohallah is the hidden gem of Mumbai that comes alive at dusk everyday, just as the evening prayers are being said at the Saifee mosque near by. In these gallis you will discover unique dishes of the Memon and Dawoodi Bohra inspired from regions as diverse as Surat, Delhi, Lucknow to United Kingdom, Malaysia, Iran, China and Yemen. Every kind of meat imaginable is on offer, cooked in myriad ways, served up as kebabs or in rich gravies. Breads range from naan to khamiri to fried paranthas and the murtabak like Baida Roti. Third and fourth generation cooks serve up a feast of chaat, Mumbai-ised Mulsim fare like Gurda Cheese Rolls and Patrel Biryani (sans rice and with colocassia leaves instead), cold drinks made from fragrant natural flavoured syrups like rose and fennel, sweets that include Jalebi, Khaja Burfi and the candy floss like Sutter Feni when in season. 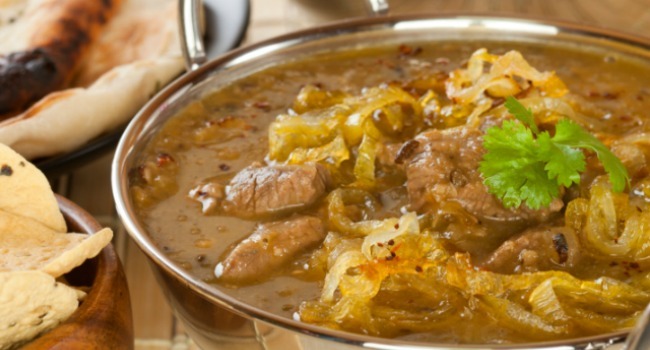 The most famous meal to be had here is the Barah Handi - an assortment of cuts of meat simmered in twelve pots for 8 to 12 hours to render the fat and leave succulent, tender morsels of meat that deeply flavour the stock they were cooked in. Customers are asked to choose the cut of meat they are interested in, which is then served with the gravy, fat that has rendered and a sprinkling of fresh coriander. Mop up the gravy with the Khamiri Roti that is typical to this region. While you are in the area, look out for the fantastic range of sweets on offer and make sure you visit the 125 year old Taj Ice-Cream, known to have the best hand cranked, fruit flavoured ice creams that Mumbai has to offer. 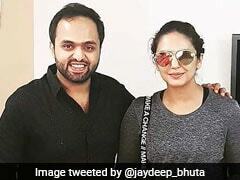 Where: Savoury - Sarvii Valibhai Payawal, Surti 12 Handi (Handi), Noor Mohamadi Hotel (Chicken Sanju Baba, the recipe for which was allegedly given to the hotel by Sanjay Dutt), Indian Hotel (kebabs and rolls), Mohammed Kareem Chana Masale Wala (Channa Masala). Sweet - Fakhri Sweets, JJ Jilebi, Idris Cold Drink (Sharbat), Tawakkal Sweets (flavoured malai) and Taj Ice-cream. At the end of the 19th century, a tiny bit of Iran mushroomed in the historic areas of South Mumbai as cafes and bakeries. Today if you walk down the oldest parts of the city, it's impossible to miss these ancient establishment that inevitably draw you in with their period architecture, quaint graphics and centurion old men at the helm. Run mostly by second or third generation proprietors, descendants of Zoroastrians who came to India in the 19th century, the cafes all serve up a faintly colonial sleepy air of a bygone era along with some great Parsi food and typical old style bakery fare. Irani cafes (Iranis were the second batch of Zoroastrians to come to India from Persia) today offer simple menus with signature Parsi dishes including Salli Boti (a fantastic dish of melting mutton in a beautifully caramalised gravy, topped with crunchy fried potato straws), Mutton Dhansak (meat cooked in a creamy gravy of lentils and spices), Kheema Ghotala (curried minced mutton with an egg scrambled in, served with paav for breakfast) all to be washed down with the syrupy raspberry soda. Finish with the famous Lagan Nu Custard. Pick up a crusty Brun layered with oodles of soft and salty butter. Or you may just choose to drop in at breakfast and splendidly make do with Akoori (parsi style creamy scrambled eggs) served with the freshly baked bread, crisp butter kharis and sweet milky tea. Where: Kyani (near Metro cinema) and Yazdani Bakery, Ideal Corner, Jimmy Boy (try their new Parsi Wedding feast), Military Cafe (all in Fort), Britannia (personally, I am of the opinion that the Berry Pulav is hyped but it certainly has great appeal and the berries themselves are a lovely tart-sweet payoff). In the suburbs, I would highly recommend the Salli Boti at Ashmit's Snack Shack (Bandra, Pali Junction). 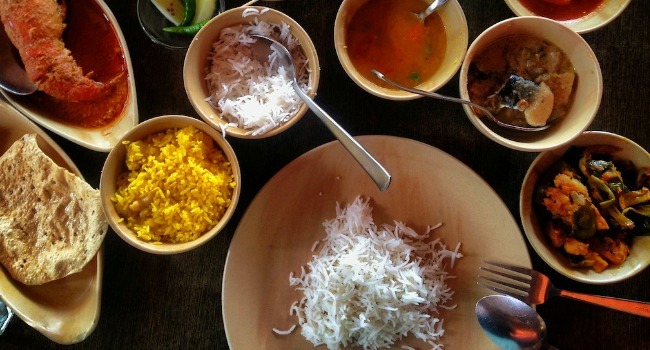 The food along the west coast of India is a continuum of gradually transforming flavours. As you reach Mangalore things start to get more meaty. The seafood and meat gravies including Ghassi (the most famous gravy of this region) are served up with the silky gossamer like Neer Dosa (thin rice pancakes). The coconut laden Sukka preparations of mutton, squid or clams make for another brilliant combination with the soft Neer Dosas. Chicken Roti, another specialty of Mangalore is an intriguing dish of chicken curry with a roasted coconut gravy, served over crisp rice cracker 'Kori Roti' that softens into a dosa on soaking up the chicken gravy. Many of the city's Mangalorean restaurants offer a mishmash of Mangalorean, Konkani, South Indian, North Indian and even Indo-Chinese fare but my advice would be that you prioritise the Mangalorean. Having said that, I admit that some of the modernised traveller friendly seafood dishes like Tandoori Crabs or Crabs cooked in a luscious butter-pepper-garlic sauce are absolutely worth a deviation. Where: Apoorva (Fort) and Pratap Lunch Home (Fort) offer fantastic home-style food while Trishna (Fort) and Mahesh (Fort and Juhu) are more famous high end ones; great if you want to try crabs, jumbo prawns, lobster and pomfret in a tandoori masala or International sauces. An experience of Mumbai food would be incomplete without including the modern American/Continental, trendy, upmarket but just about affordable restaurants that have cropped up all over the city. A trend spearheaded by the enduring Indigo Restaurant and Deli which has become an institution in itself, these restaurants are rapidly increasing in number, available now in almost every mall as well as peppered around major office areas. The modern deli style cafes offer wonderful gourmet versions of sandwiches, fresh layered salads, thin crust pizzas and eclectic burgers alongside gourmet international ingredients including imported cheeses, artisan breads, handmade jams, flavoured oils and other condiments that can be bought of the shelf. The food is sometimes reinterpreted to suit the Indian tastes yet guaranteed to please even pickiest of well traveled eaters. Absolute favourites of ours are the Pulled Pork Burger and the Eggs Benedict blanketed in velvety, buttery Hollandaise sauce at the Indigo Deli in Andheri. I can attest that has been known to challenge the worst of hangovers. Where: Indigo Deli branches around the city, Indigo Restaurant (Colaba) broke new ground a decade ago in offering five star quality contemporary international food at relatively affordable prices in restaurants around the city. These restaurants would frankly still be my best bet to get sure shot yummy food. 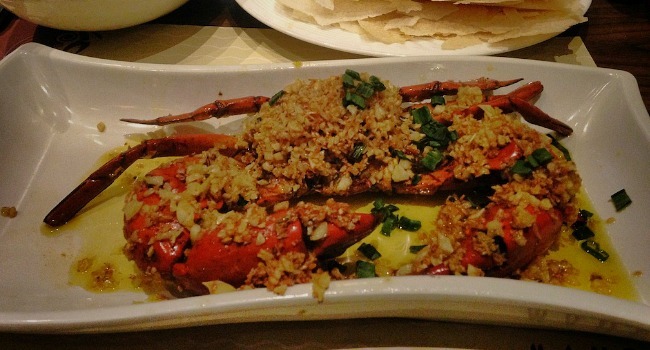 The Saltwater Café (Bandra) is another place that has followed this route successfully. 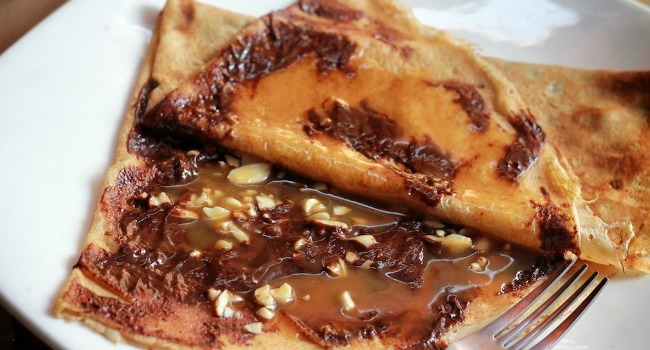 Imbiss (Khar) and Between Breads (Bandra) are smaller, more pocket friendly spaces that cater to a similar need while Suzette in Bandra is a tiny expat run restaurant specialising in delicious buckwheat crepes with a range of savoury and sweet fillings. While Mumbai, like other Indian cities has its share of international food to offer, your experience would be incomplete without a mention of its age old bars that attract tourists and city dwellers as much or maybe more for their ambiance and location as for the food. The food is a mix of 'continental' (Indianised grills, steaks, burgers, sandwiches, pastas) with the essential North Indian and Chinese thrown in for good measure. The colonial Parsi cafe meets old school 80's pub meets dingy, overcrowded street-side restaurant ambiance of the ones in South Mumbai makes these almost into a right of passage for city new comers and college students. While Cafe Mondegar is famous for its murals painted by Mario Miranda, Leopold has gone into the Mumbai annals of fame for having been around since 1871 and then being the scene of crime for the horrific shootings of 26/11. In the suburbs, the forever packed Totos Garage is one of the oldest themed bars in the city while Janata bar is for the more adventurous or broke. The resulting clientele is typically college kids out for a good time that can legitimately be funded by their pocket money. I still remember the experience of buying my first drink by the quarter bottle and even chugging it down as such in Janata Bar, surrounded by my classmates, feeling all grown up in the big city of Mumbai for our internships. The fact that nobody gave us a second glace only emphasised the feeling of being liberated and just about.. having arrived. Where: Leopold, Café Mondegar and Café Churchill all flank the Taj Mahal Hotel in Colaba. Totos Garage and Janata Bar are both in Bandra. If you want to try seriously authentic versions of cuisines from parts of the country you have never been to before, the city does offer a few restaurants that just about manage to escape Mumbaification. Where: Head to Bhojohori Manna (Oshiwara) for superlative home-style Bengali food, Punjab Grill (Juhu or Phoenix Mills) for fantastically authentic Punjabi fare. Soam (Girgaum) and Hiralal Kashidas (Girgaon) make fantastic Gujarati Undhiyo when the season is right. Deluxe (Fort) and Just Kerala (Andheri East) are known for their non-vegetarian Kerala meal, Chetna (Fort) for its Rajasthani thali and Maharaja Bhog (Goregaon, Inorbit Mall) for a Gujarati and Rajasthani melange. Bhagat Tarachand (several outlets) is famously known for its North Indian thaali (I am great fan of their rotis and dal). The food is recognisably North Indian, dishes tease in associations with several North Indian states but try pinning it down to any one place and the closest you will arrive at, is Bombay. P.S. - The Koli food of Mumbai, while is not available in a restaurant, can be brilliantly experienced at the relatively new Koliwada Seafood Festival in Versova, typically in the last week of each January. Reshmy Kurian runs a blog called 'Bombay Chowparty' which started out as a space to share her experiments, thoughts, recipes and encounters with foods.